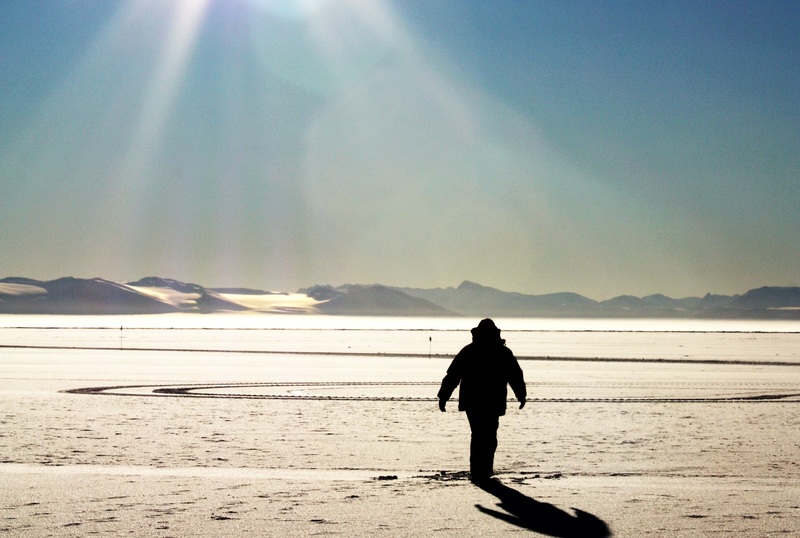 Even after four season-long shifts in Antarctica, Mark Walsh still enjoys freezing his hair. To get in touch with him, Walsh gave me a Colorado number, which, when I called it, was sent to his computer. In the time of our conversation, the call was dropped only once. Walsh is a weather observer for MacWeather, the weather office at McMurdo Station, which is also the largest base program for U.S. Antarctica Program (USAP). Walsh’s base duties include checking the balance of the weather reporting system so that airplanes can land and takeoff safely. For two years after he graduated, Walsh applied for entry-level jobs at Charleston’s Antarctica Program, only to be denied each time. Walsh eventually flew to Denver, CO, to meet with Raytheon Polar Services Corp, the primary support contractor at that time. Walsh was told that despite his background in science, he needed to gain experience relative to the USAP, and he was advised to become a weather observer. Thus, ten months later, Walsh became a certified weather observer. For three years Walsh worked at the Mobile airport, gaining experience in the hopes of one day making it to Antarctica. He worked at the airport on weekends, and during the week he taught full-time at a high school while coaching soccer and bartending. When Walsh finally reached Antarctica, he embraced his new life in full swing. It takes an average five flights to reach Antarctica from the U.S. Four of the flights are spent getting to Christ Church, New Zealand. From there, Walsh and a crew of other workers take a C17 military plane bound for Antarctica. When I talked with Mark by phone the current temperature in Antarctica was -25 degrees Fahrenheit. With the wind chill, though, it felt like -55. Walsh says that it’s not so much the cold weather but the wind that breaks people. “The wind is not normal,” he says. 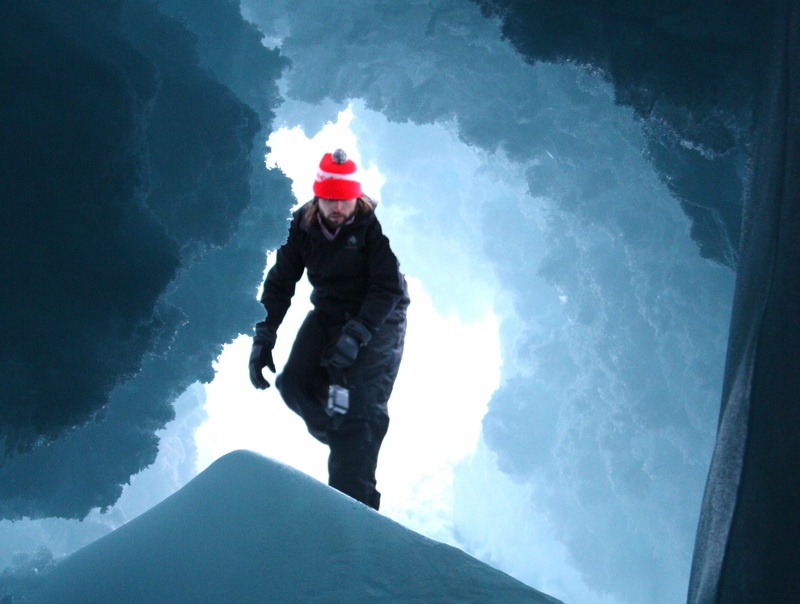 This is Walsh’s fourth stint in Antarctica, but his first in the winter. Walsh explains that his summer shifts have typically lasted about six months, but he will be on the continent for seven this time around. Walsh lives in a two-person dormitory, but he has the dorm to himself because the base is virtually empty in the winter. Walsh says that McMurdo can hold up to 1,200 people, but right now only 139 people are there. Average temperatures in the winter range from -20 to -40 degrees, compared to 10 to 30 degrees in the summer. In the winter there is no sunlight, whereas the summer is lit 24 hours a day. When he takes a look outside of his dorm room window, Walsh says he sees “nothing but brown rock and dirt.” Walsh describes McMurdo as “an old coal-mining town.” In the summer much of the sea ice melts and they actually have open water, attracting penguins, seals and whales. “Pristine and pretty,” is how he describes the view, which overlooks the Ross Sea. Walsh describes this and other things Antarctica in his blog, The Frozen Toe. 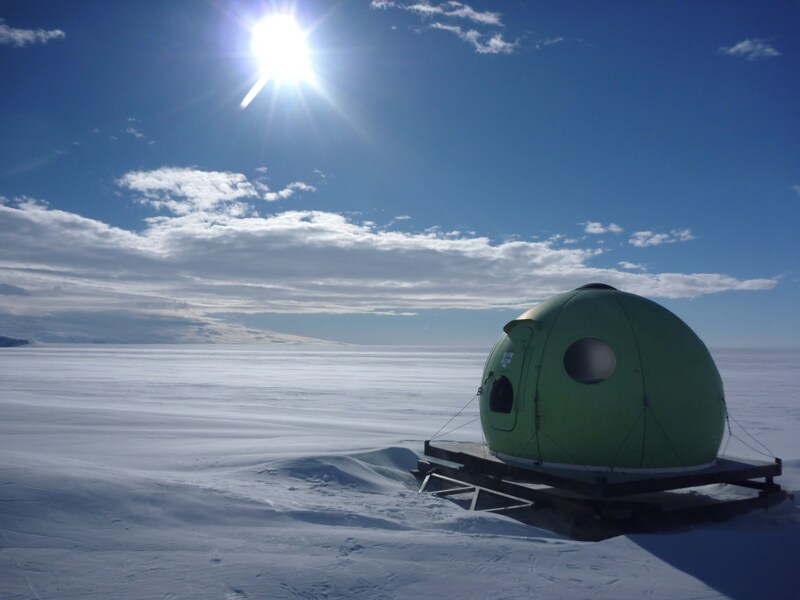 Walsh’s time in Antarctica may be coming to an end, however. After this, he’ll have spent over two years on the continent. Walsh said he’s accomplished many things on his bucket list throughout his time spent in Antarctica, referencing a visit to the South Pole last year. Though his Antarctic experience is wrapping up, Walsh’s next adventure is already in the works. Walsh’s company—which can be found at BareFootWallets.com—sells adventure travel wallets. Originally Walsh made the wallets himself, lugging his fifty-five pound industrial sewing machine with him to Antarctica. Now, he and his partner are building a support system of experienced contract workers back in the U.S. In addition, Walsh has also written a book, or a “guidebook” as he describes it. Titled “How to Get a Job in Antarctica,” he chronicles how to do just that. Walsh is an expert in the field, and has five years worth of experience to prove it. Both Mills and Walsh served time on the executive board during their time as collegians. Walsh was the recruitment chairman for two years, and Mills rotated among Recorder, Treasurer, Lieutenant Commander and Commander. Walsh said that his active participation in Sigma Nu has helped him as a weather observer in Antarctica. Discussing his involvement with Iota Rho chapter, Walsh connected his tenure as a collegian to his duties in Antarctica.